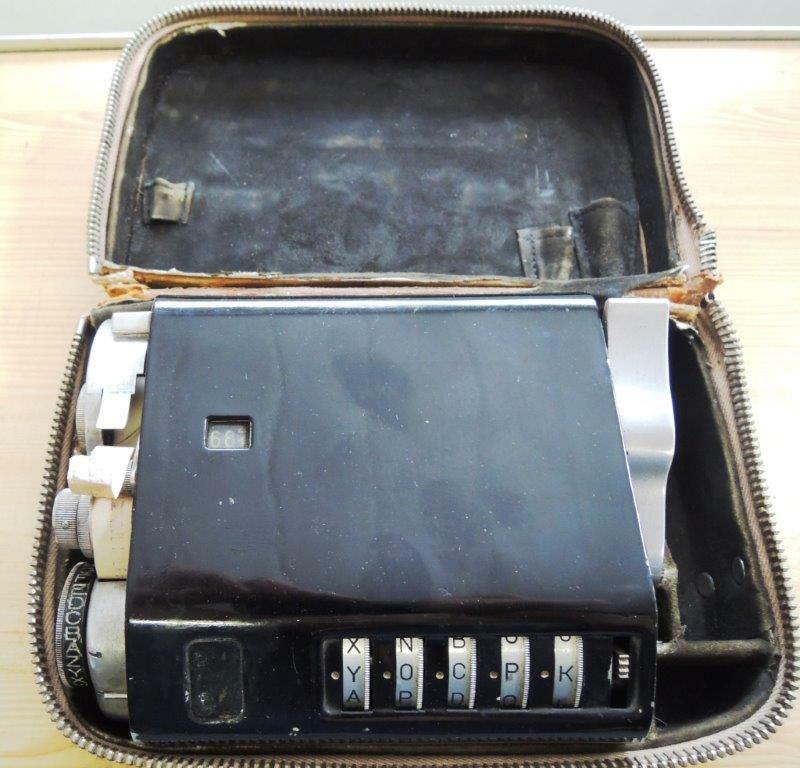 Boris Hagelin (1892-1983), a Swedish business man who emigrated to Switzerland in the 1950s, was the only constructor of encryption machines who ever became rich with his designs. However, Hagelin’s beginnings were difficult. 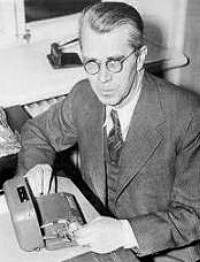 In 1925, he took over a Swedish company producing cipher machines founded by Arvid Damm, an ingenious enigineer, who became his partner. When Damm died in 1927, Hagelin had to continue alone. 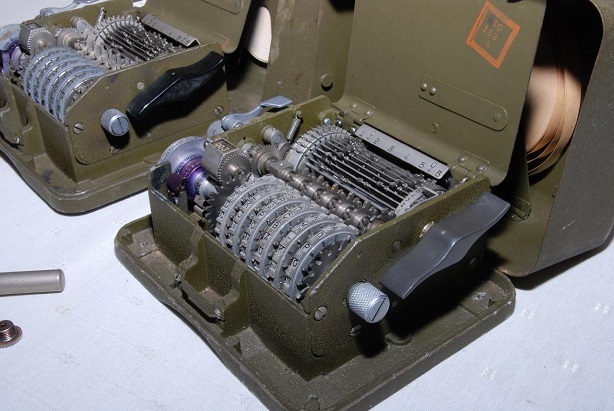 After about a decade without major revenues, Hagelin finally managed to sell several hundred copies of his B-211 cipher machine to the French army. This was the break-through. … and the CX-52, which was the most important encryption machine of the early Cold War. My friend Stefan Beck, who owns a marvelous typewriter museum in Pfäffikon, Switzerland, has recently purchased a copy of the earliest C-machine, the C-35. This machine is very rare. 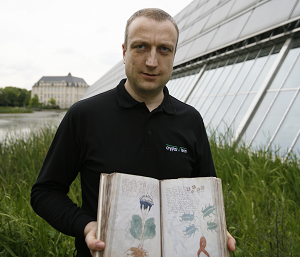 One of the few other copies known to exist is described on the Crypto Museum website operated by my friends Paul Reuvers and Marc Simons. Stefan has provided me a number of photographs of his device. The C-35 had three different keys: the letter combination indicated by the five wheels on the front, the statuses of the notches on these wheels (activated or deactivated), and the position of the slides on the bar wheel (these slides were fixed, but different machines may have contained different bars; later C-machines provided movable slides). The notch statuses and slide positions were long-term keys. 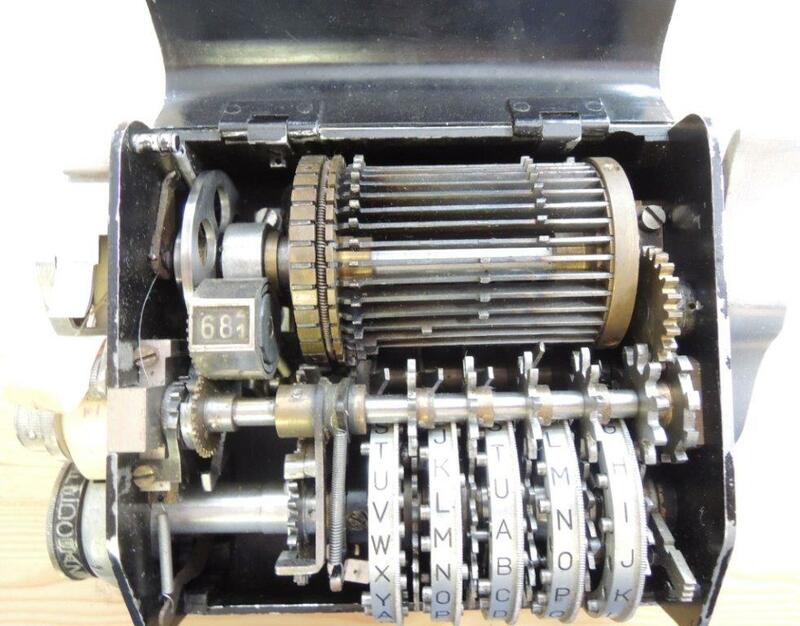 Once the wheel indicated the letter that was to be encrypted, the operator of the machine had to turn the lever (next picture), then the ciphertext letter was printed on the paperstrip, which can be seen on the picture above. The C-35 is mentioned in many publications about Hagelin and his company (e.g., in my book Codeknacker gegen Codemacher). 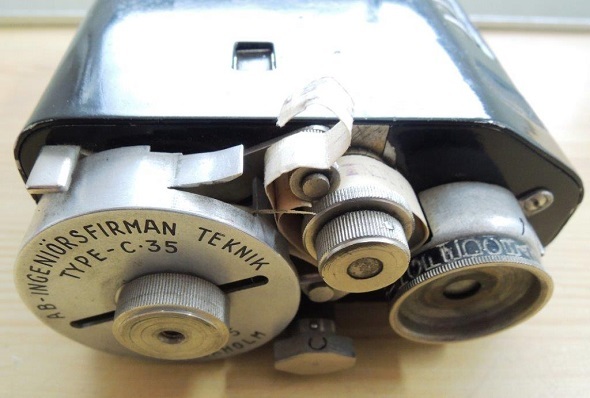 The C-35 was initially developed for the French Army, who wanted a cipher machine that would fit into the pocket of a soldier’s uniform. So, they gave Hagelin a piece of wood that indicated the maximum size. Apart from this, little seems to be known about the C-35. Stefan Beck and I especially wonder why Stefan’s device (serial number 575) looks a little different from the one described on the Crypto Museum website (serial number 593). The most obvious difference is that Stefan’s machine doesn’t have a lock. 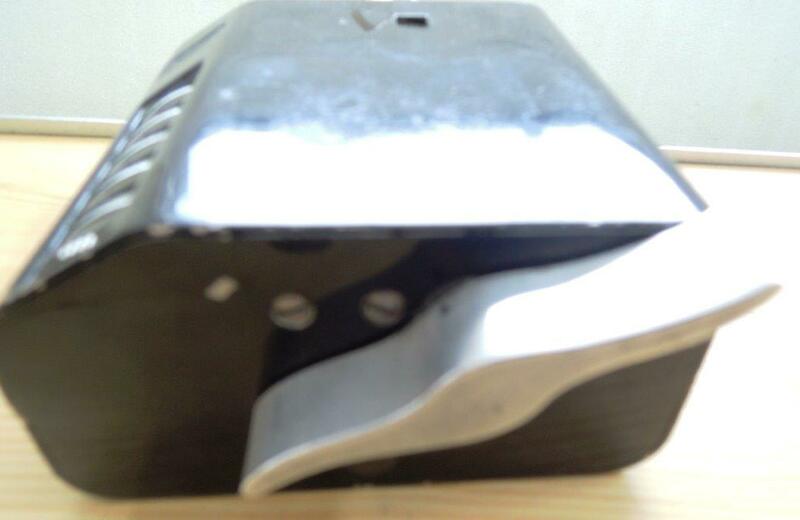 The lock was used to prevent a user of the device from changing and seeing the long-term keys (though the notch statuses might also have been visible when the case was closed). A disadvantage of the lock certainly was that the (physical) key had to be available in order to change the (logical) long-term keys. Does a reader have additional information about the Hagelin C-35? Does anybody know why there were two (or even more) variants? Further reading: Top 50 cryptogram solved! Since this isn’t mentioned above – you have read the passage on the C-35 in Hagelin’s “Die Geschichte der Hagelin Cryptos” (“The Story of Hagelin Cryptos”, link provides on cryptomuseum), haven’t you? @Thomas: Thanks for mentioning this source. Yes, I have read it, but it doesn’t contain much information about the C-35. … which may relate to the stated French requirement. As to the locking feature, the patent does not (I think) show any, or suggest any, in the text: So perhaps the locking feature was a later addition/improvement, or an option, for certain markets. Just a guess on that… patents often deviate in details from the final products. Another thought: Since the French Army requested this design, and since the patent does not specify a locking mechanism, then it might be reasonable to assume that the non-locking devices came first, are earlier versions. As far as I can see, there are no pictures of C-35 available other than Beck’s C-35 presented here and the cryptomuseum’s one. So it seems unclear if the “standard” model is with or without the lock. Note that the M-209 doesn’t have the lock either. Isn’t the lock that doesn’t allow the machine to be opened a contradiction to Kerckhoffs’s principle ? The encryption shouldn’t be “safer” if you don’t know the inner mechanics of the machine. “… a contradiction to Kerckhoffs’s principle ? I admit I don’t know this principle, but I was assuming the lock in this case would be to hide the order of the rotors. If an enemy was able to procure one of the devices, it alone would not help them entirely, because they still should not be able to decrypt transmissions… not knowing the rotor order and positions. So perhaps the lock would be to keep the rotor order knowledge limited to a fewer number of people, and avoid having spying eyes make note of it. Any spy would have to either break into the machine, or steal it, and then the comprimise would be realized, anyway.